Bay Island Driftwood museum is located in Kumarakom and it is a museum that has a wide range of unique high quality driftwood sculptures. These sculptures are of great artistic value made in modern art form. This museum is the only driftwood museum in India and the best in the world. 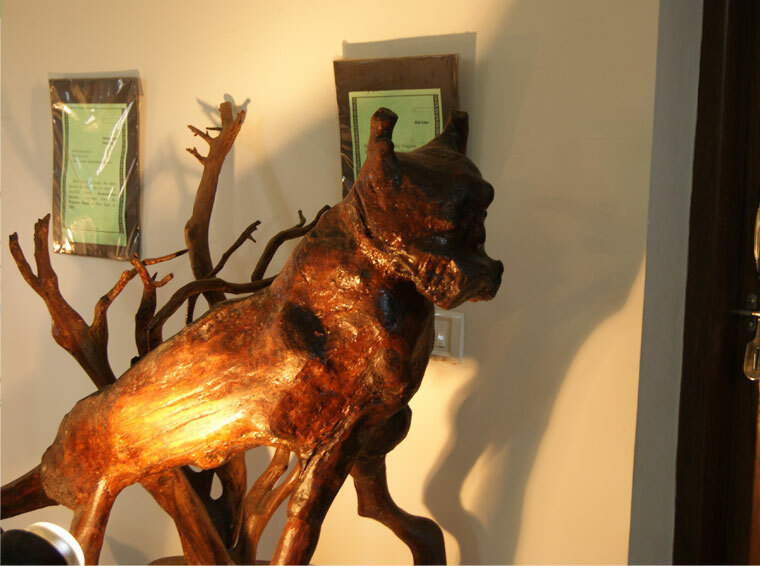 The driftwood displayed in the museum is a result of a person’s wild imaginations and nature’s creativity. Mrs. Raji Punnoose, a school teacher in Andaman and Nicobar Island used to gather driftwood pieces from the sea shore that was deposited by the sea. These driftwoods include tree trunks, roots etc, all that are washed into the shore. Those woods that can be transformed into beautiful sculptures were collected and some of them were centuries old. These collected items were then washed, cleaned, removing the unwanted parts and then modified into different shapes which the teacher desired. They are then polished and preserved well. Some of the items were in the shape of birds, animals etc. These items weighing tones were taken from the Andamans to Kumarakom and were kept for exhibition since 2001. Tourists from all continents are attracted to this museum and the visitors are large in numbers. A good number of tourists to Kumarakom make it a point to visit this museum, while some come to Kumarakom to visit this museum alone. This museum has also won the Limca Book of Records 2010, as the only drift wood museum that displays articles that have been recovered and collected from the Andaman seas.